For efficient execution of anything, the right tools are crucial. Whether you are an angler or just fishing for adventure, proper equipment will make your experience memorable in either a good or crappy way. With today's’ busy lifestyle, it is easy to settle substandard tools. After all, everyone is putting their foot forward as far as marketing their products are concerned. To save you from an adverse post-purchase effect, we have reviewed some products that will keep you informed when shopping for a transducer. 1. Brocraft Universal Portable Transducer Bracket + Fishfinder Mount. Here are some transducer brackets that will make your angling worth it. The quality of this transducer is undisputable, thanks to its construction by marine grade 6061-T6 aluminum with CNC processing. You will use it and pass it to your next generation. It is easy to use, and anglers enjoy quick removal from the boat saving the user precious time. 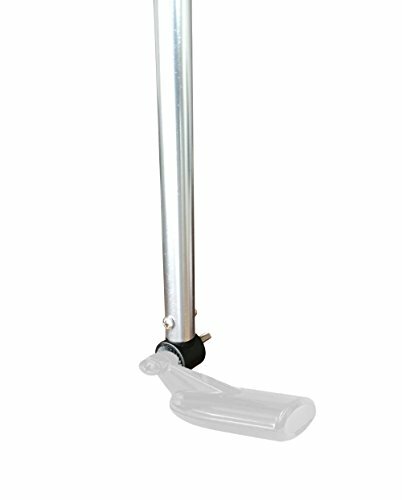 Its portability makes this transducer bracket easy to carry around. While cruising on the deep sea, it is easy to lose track of important things like speed. 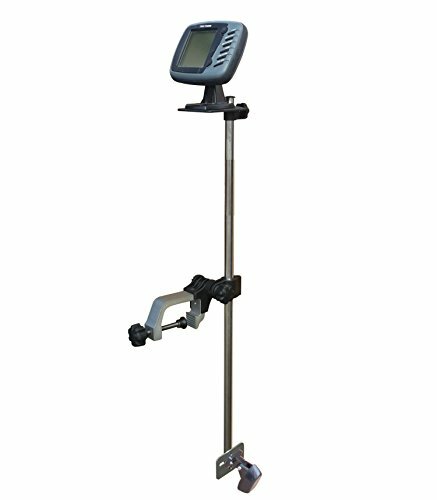 Brocraft Universal Portable Transducer Bracket + Fishfinder mount has low and high-speed readings through simple depth adjustments. 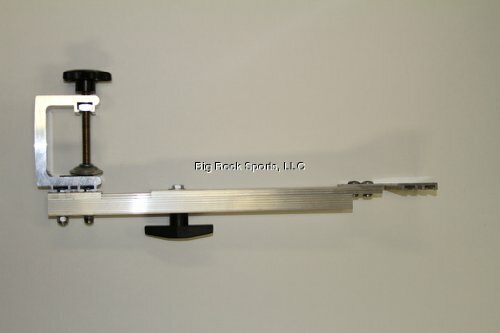 It has a maximum opening 2-3/4” large clamp with a maximum length of 32 inches long. These Transducer Brackets work with the pontoon or other boats, offering you exciting options. Note that with the pontoons, special attention is necessary when rigging up with electronics. It works best when mounted in front of the boat, though still works well at the rear. Sully® 8001P Universal Portable Transducer Bracket, is pretty easy to install, removes quickly and easily saving you time and headaches. These are perfect for first-time users as well. You can use these Transducer Brackets on pontoons with up to 4 1/4 platform skirt, and also fits transom boats with up to 3 ½” thickness. Its adjustment range is 18 to 26,” and the thick adjustment range is 16” to 24”. Made out of sturdy aluminum, this Portable Transducer Bracket will last for many years. The quality is guaranteed, and the product only weighs 1.3 pounds. 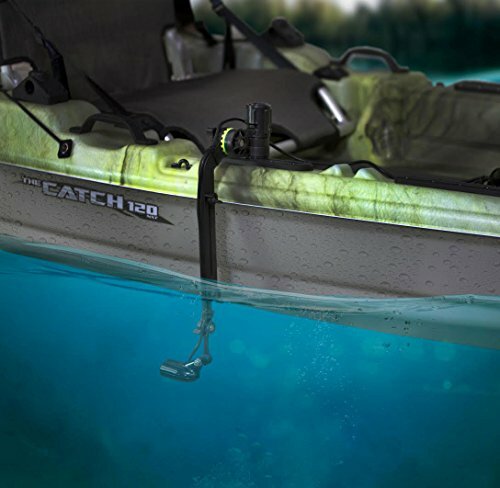 Designed for Kayak anglers who are keen on an easy way to transducers, the Scotty Transducer Arm Mount is a time saver for both pro anglers and newbies. The mounting arm made of composite material of high strength guarantees quality. No anticipated corrosion problems. You can mount telescopes from a compact 11.5 inches to 18 inches when extended fully. It swivels 360 degrees. Kayak/SUP Transducer Mounting Arm with Gear-Head come with Slip Disks that have a provision for macro adjustments. Scotty products are sold worldwide to marine, fishing, and outdoor industries worldwide. The ease of availability is a plus, and you do not have to sweat over spare parts in case you need replacement. Scotty also prides in quality and guarantees unmatched service with any of their products. 438 gear-head track which works with the Scotty slide. 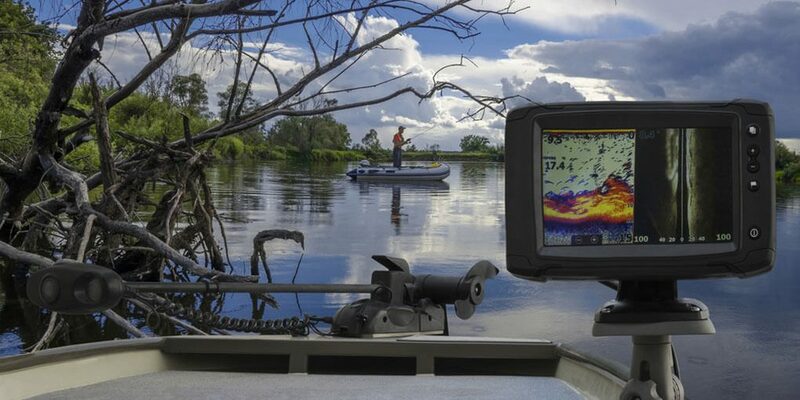 Instantly drop and mount a fish finder. Knowing that you are safe in the waters is paramount. To prevent transducer wire from many potentially tragic occurrences like winding on the motor, it removes the transducer from trolling motor. This transducer enhances high-level safety in the waters. Its simplicity to deploy with an optional positive shaft lock with no screws to come loose makes it easy for anyone to use. Since the downrod length is 48 inches with an allowance adjustable by 10 inches to set up the mount, the transducer remains intact even in massive waves. 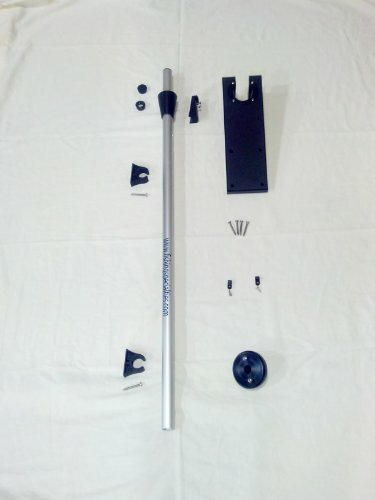 The downrod shaft made out of an aluminum tube with a thick wall of 1- inch diameter made of marine grade component throughout. The arm swivels to 360 degrees for utmost coverage of all directions. It is also extendable between 17 inches to 25 when fully extended. It easily adaptable to various vessels and works well for canoes, pontoons, powerboats, inflatable boats, and kayak. One of the most outstanding features from the featured products is the quality. And, that matters most, right? The last thing you want is having your equipment breaking down or getting stuck while you are in the sea. Whether you are out for some fun angling, a hobby or profession, easy to use tools are essential. The above devices will not only save you time mounting but also browsing through low-quality transducers in the market. For very little, rest assured you will have something to prove to your generations that there once lived an angler.